George Nakamura was born in Arroyo Grande, California on November 13, 1923, as the fourth child and second son of vegetable farmers. He attended elementary and high school in Arroyo Grande. After the Japanese bombed Pearl Harbor in December 1941, Nakamura and his family were advised to sell their farm before it was confiscated by the government. The Nakamuras instead rented their farm and in March 1942 were 'bundled up into buses', by the US Army, according to Nakamura, and taken to the Tulane [Relocation] Reception Center. Here his mother and five siblings, one brother and four sisters, were put into one room. In June 1942, the Nakamuras were relocated to a permanent internment camp on the Gila River Indian Reservation in Arizona. The Nakamuras were placed in one room which measured 25 feet by 35 feet. Nakamura joined the other high school graduates in camp to do the work necessary to keep the camp running. His tasks included washing dishes, janitorial duties, and administrative and accounting responsibilities. Nakamura also volunteered to pick cotton for the war effort, which he says is the hardest work he has ever done. 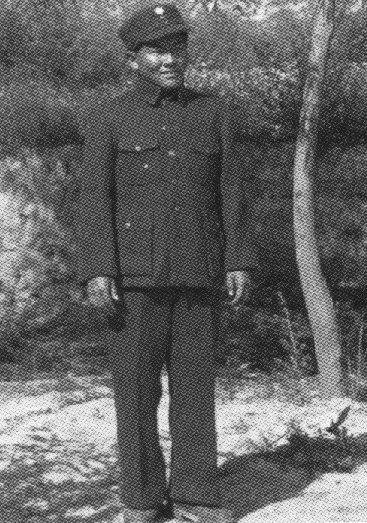 In November 1942, Nakamura volunteered for the US army. Although the US army at the time was not drafting Japanese-Americans, recruits had been sent to Nakamura's camp to ask for `volunteers ' to study Japanese for special Japanese language units. Nakamura recalls that had the army not lowered the height limit to five feet, he would not have been accepted. From December 1942 to May 1943, Nakamura was put in training at Camp Savage, located about 17 miles outside of Minneapolis, Minnesota. Here he learned military Japanese, how to read documents and how to interrogate prisoners. After graduation in May 1943 he was sent to Camp Shelby for basic training, and returned to Fort Snelling where he awaited orders for overseas duty. Eventually he received orders as one of a ten-man language team designated for the CBI Theater. From Minneapolis he was flown to Los Angeles, and then set sail for Calcutta on a route that took them below Australia to avoid Japanese submarines. He arrived in Calcutta in March 1944, and was sent to Chongqing where he was told that he was part of a `test case'; if he and his fellow officers did not get along with the Chinese, they would be sent back. In July 1944, he was assigned to the Dixie Mission. He was to assist Major Ray Cromley, 055, responsible for order of battle information on Japanese forces in North China and Manchuria. As the youngest member of the Dixie Mission, Nakamura was Crornley's language man and lackey. In June 1945, Cromley recommended Nakamura for a field commission and Nakamura was accepted. After the Dixie Mission was recalled in August 1945, Nakamura returned to Chongqing, and then Shanghai which became the US headquarters in September. From Shanghai, he was ordered to join the Liaison Group to assist Chinese troops to leave French-Indochina. In May 1946, this group returned to Shanghai and Nakamura stayed on with the US army for three years, during which time he was sent to Japan for occupation forces. In June 1949, he resigned from active duty and entered Columbia College. In 1954, he graduated with a masters in International Affairs and East Asian Studies, and in 1955 accepted a job with Rayovac Corporation, where he worked for 31 years. Since 1986, George Nakamura has been operating a management consulting firm in Tokyo called the International Services Associates, Japan (ISAJ). ISAJ focuses on trade promotions, mergers and acquisitions, market research, and real estate matters. Story and picture contributed by Aileen Nakamura.